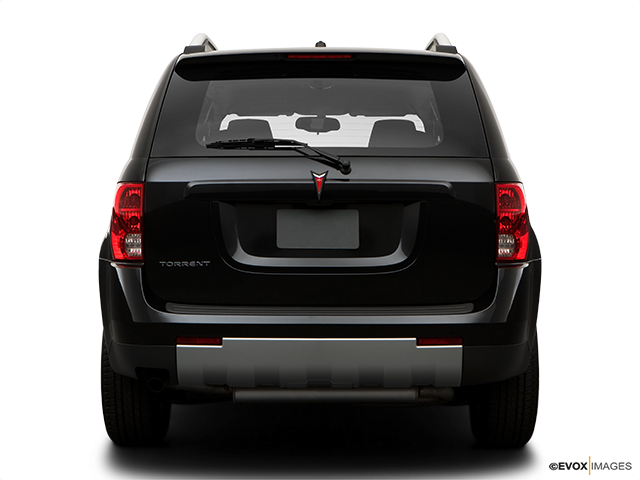 The Pontiac Torrent is the counterpart of the Chevrolet Equinox with some minor differences in exterior styling and equipment. The Torrent is marketed and priced like a compact SUV; still, it is much bigger than other compact SUVs as it is longer and wider than most of the competition. A sporty front end with the familiar twin-grille is used on all Pontiacs, just like covered headlights, a honeycomb grille, fog lights, and lowered bodywork. Some Torrents offer tinted windows, tubular roof racks, and 17-inch tires and alloy wheels, which helps make them look sporty. 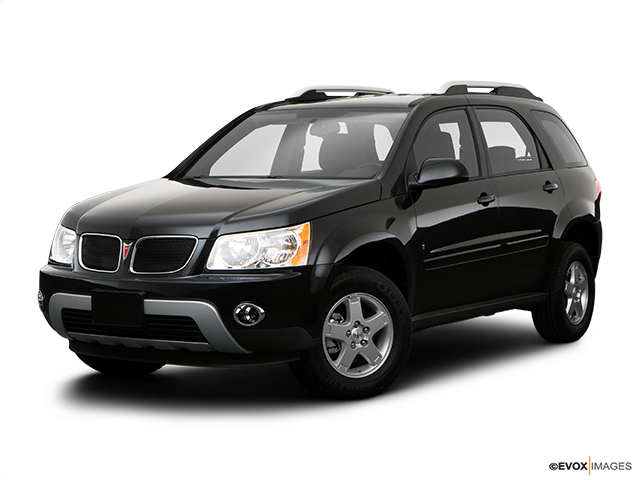 If you are in the market for an SUV with a little bit more space, some good power, and reasonable price, then the Pontiac Torrent is the right choice for you. The exterior consists of big headlights, fog lights on front bumpers and a unique taillight specific to the Torrent. Large front and rear doors and a low step-in height make it easy to get in. It is a beauty with an aggressive stance and exterior design that includes a unique hood, a new front fascia with cooling inlets and detailed grille inserts. Moreover, details such as chrome dual exhaust tips reflect the vehicle’s prowess. The interior quality boasts improved materials and a cleaner, more stylish design. The steering wheel is wrapped in leather, with very nice and smooth power assist steering, audio and cruise controls on it and stylish red backlit gauges with chrome rings behind. You are welcomed by a black cloth interior, woven fabric seats with supportive side bolsters and two-temperature seat heaters. All power options are in the central console, including power window controls, which, though unusual for an American car, actually makes it easier for both the driver and first-row passenger to reach them. A 12-volt power socket and reading lights are available as well. The back seats have plenty of room even for taller people and they can flip down for extra cargo space if needed. The rear cargo space is huge, plus it has storage pockets on the sides along with a double-sided tray. With 185 horsepower and 210 lb.-ft. of torque, the Torrent’s V6 engine is very responsive off the line. On the highway, it is very quiet and low-revving. The Torrent comes with five-speed automatic transmission only, and it is so good that a manual transmission is not needed at all. Fuel consumption is average for the compact SUVs, which is great because the Torrent is probably the largest vehicle in this class. The ride is very comfortable and handling is nimble with very favorable shock absorption. Stiffer shock valving, spring rates, suspension bushing, larger solid stabilizer bars, and hydraulic power steering contribute to a more responsive and sporty driving experience. While customers will likely spend more time on the road than off of it, the Torrent is available with all-weather capabilities providing excellent traction. Both the front-wheel drive and all-wheel drive models feature short front and rear overhangs for favorable off-road approach and departure angles. The automatic all-wheel-drive system has no buttons to push. It engages automatically when wheel slip is detected. The StabiliTrak system helps the driver maintain control during sudden maneuvers or in low traction conditions by using a comprehensive series of sensors to measure acceleration, deceleration and steering angle. By monitoring these inputs, the system automatically controls the vehicle to help maintain the driver’s intended path when a measurable deviation from the intended course is detected. The system maintains control by regulating vehicle acceleration or applying the brakes at any wheel. Pontiac includes the addition of rollover detection sensors for the head curtain side-impact airbags and Passenger Sensing System for the dual-stage frontal driver and passenger airbags. The improvements augment Torrent’s numerous standard safety features, including three-point safety belts for all seating positions and the LATCH (Lower Anchors and Tethers for Children) child safety seat retention system, which can accommodate up to three child seats. 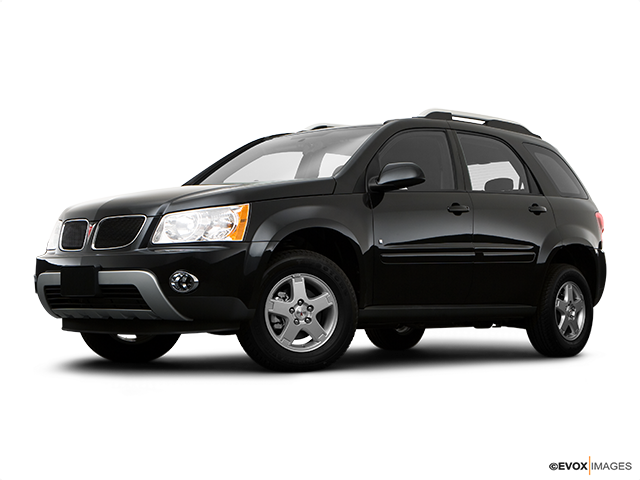 It is not a surprise that Pontiac Torrent got five-star safety crash rating, making it the perfect choice for enthusiasts and families alike.